Gym quotes: Turn your pain into power and that power into growth. We all go through those periods in life when we are in pain. You might have lost a family member, a friend, maybe you lost the love of your life, got laid off.. Whatever it might be.. The power you can get from that pain is insane… And when you go through that process of turning pain into power – you’ll feel much better about yourself. You’ll recover much faster from your negative state of mind and you’ll be 100% much faster than if you simply “wait” it all out. You will grow out of that pain and come out on the other side better, wiser and stronger than before! Next time you go through a tough time, make an effort to be as productive as you can. Get in the gym and go all in, even if you don’t feel like it. You WILL feel better afterwards and you WILL create growth! 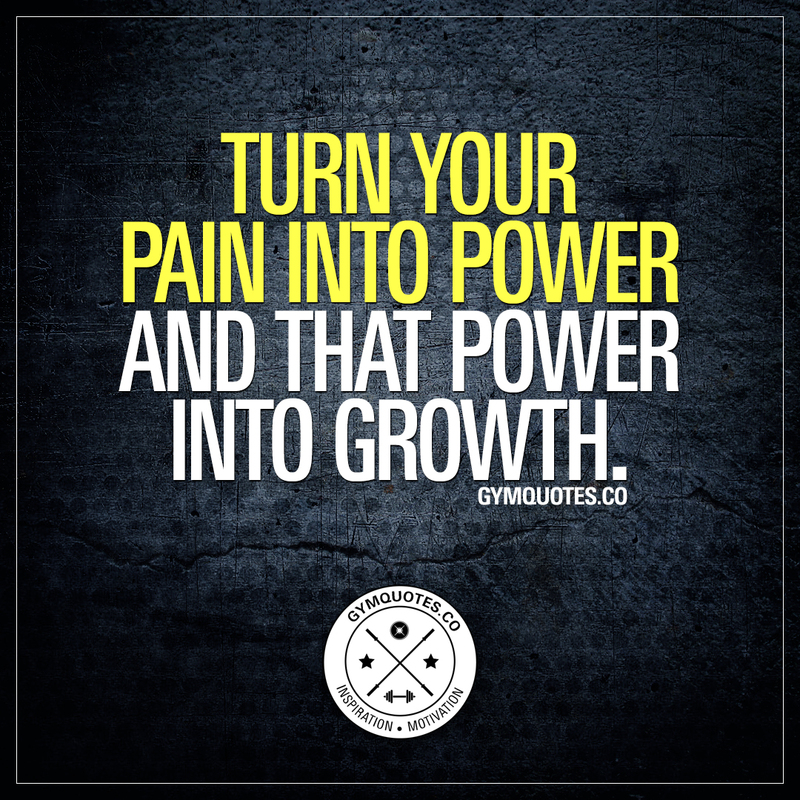 This “turn your pain into power” quote (image and text) is copyright © Gym Quotes 2019.